Mandy Thomas Johnson and Gail Logan are helping their family farms meet the challenges of the future. At first glance, it doesn’t seem like Gail Logan and Mandy Thomas Johnson have all that much in common. They’re both involved in agriculture, to be sure, but Gail is a veteran. 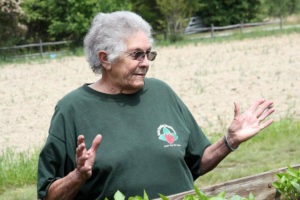 She and her husband, Bill, have run Logan Farms for 60 years. Like many local farmers, they once relied on tobacco, but grew their last crop in the late 1990s. Now, they specialize in produce — strawberries and tomatoes are especially popular — along with some poultry and nursery crops. Mandy is just beginning her career with Gary Thomas Farms, a larger operation on about 2,000 acres east of Sanford. They do still grow tobacco, but their portfolio has diversified over the years to include hatching eggs, corn, greenhouse tomatoes and cucumbers, and a menu of produce that’s too long to list. What they share is an intense passion for their work and a track record of success in helping their family farms make the transition to a sustainable model in the era of agribusiness. Gail Logan interacts with customers in search of flowering and vegetable plants, fresh picked produce, honey, and more! where she is this afternoon, tending her produce stand as a steady stream of customers wanders through carrying strawberries and bedding plants. As many interrupt briefly to say hello, Gail talks nostalgically about what agriculture used to be and how life has changed. Back in the day, there were farmers all up and down North Plank Road, where her farm still stands. But the rest of them disappeared with the golden leaf. Logan Farms survives because they adapt to the shifting demands of customers, build relationships with each one and offer the kind of experience and personal advice that have kept people coming back. 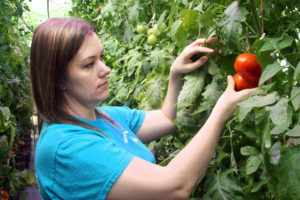 Across the county, Mandy is packing greenhouse tomatoes for Lowes Foods, one of several retail outlets that carries produce from Gary Thomas Farms. Her path has been a little different. Mandy inspects tomatoes in one of several greenhouses on the farm. These tomatoes are destined for the farm stand, farmers markets, and grocery stores throughout the area. Mandy always wanted to have a place in the family business, but wasn’t sure how she’d fit in. As it turns out, her two-year business degree and childhood work in the family’s produce stand prepared her to step into an expanding executive role on a corporate-style farm. She says she’s not a big talker, and that may be true. Still, she’s clear and confident as she runs through a list of her major responsibilities. Things like staying on top of a complex web of agricultural rules and regulations, maintaining the expanding volume of records that farms need to maintain and building systems to keep the entire enterprise moving ahead. Their stories may be different. They’re not at the same stage in their careers. They don’t share the same skills — or even the same interests. But as agriculture continues to change, Gail and Mandy have seized opportunities to reshape their family farms for the future and meet whatever new challenges may be ahead. You can find Logan Farms on Facebook, and more information about their operation on the Growing Small Farms page. You can find Gary Thomas Farms on Facebook and at http://www.garythomasfarms.com/. 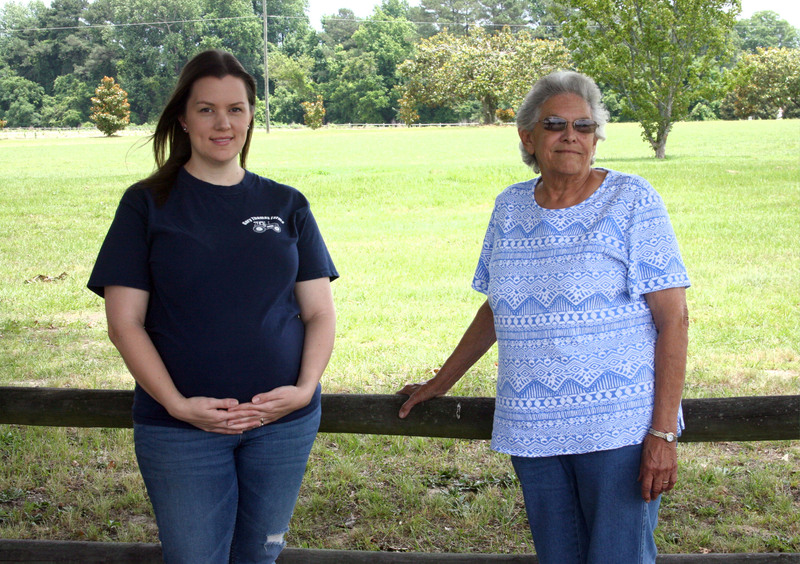 Editors Note: This article is the fourth in a monthly series highlighting the impact local women are making on Lee County agriculture. The series, which is expected to run through November, has been developed through N.C. Cooperative Extension in Lee County. Articles can be found on the left side of this page or at the links below as they are released.